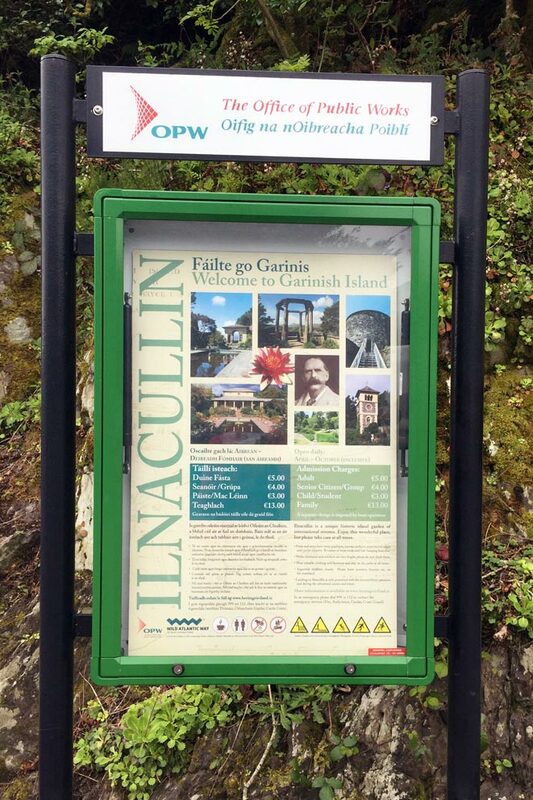 Garinish Island (Ilnacullin) is a garden island located off the coast of Glengarriff managed by the OPW. 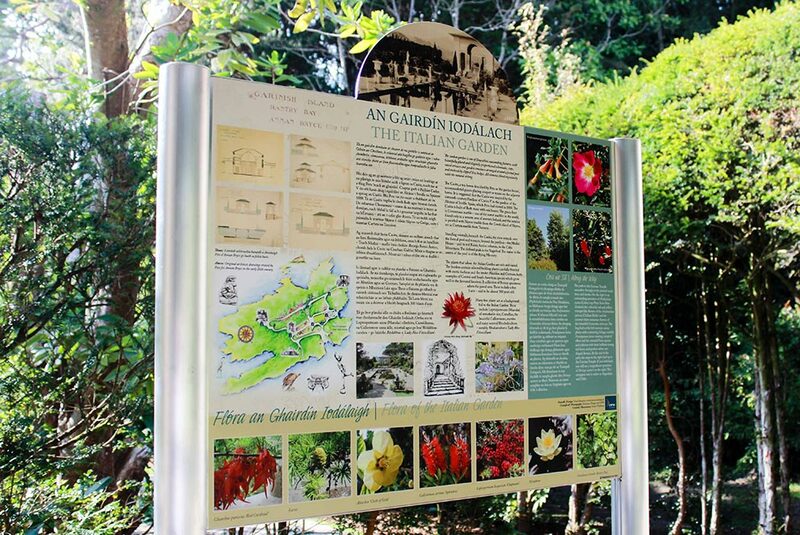 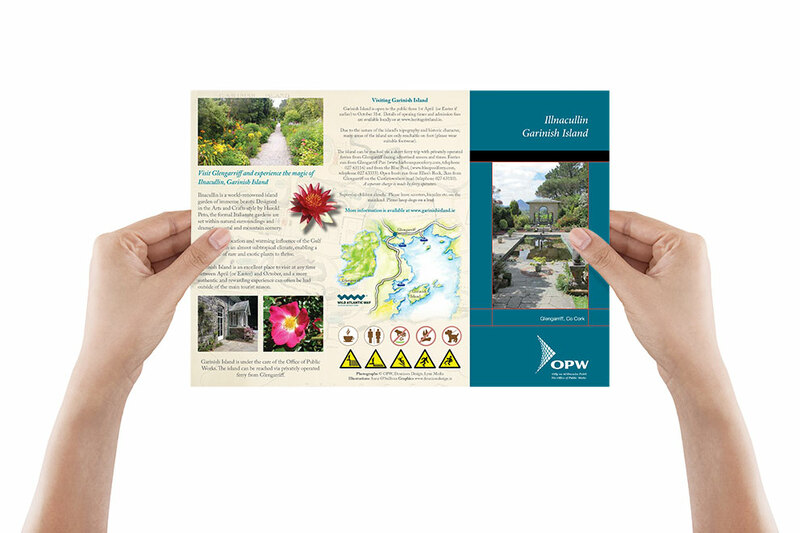 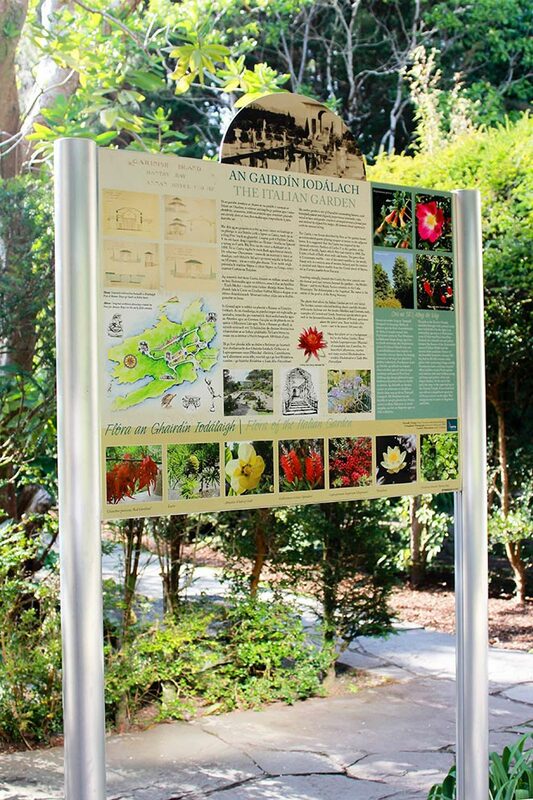 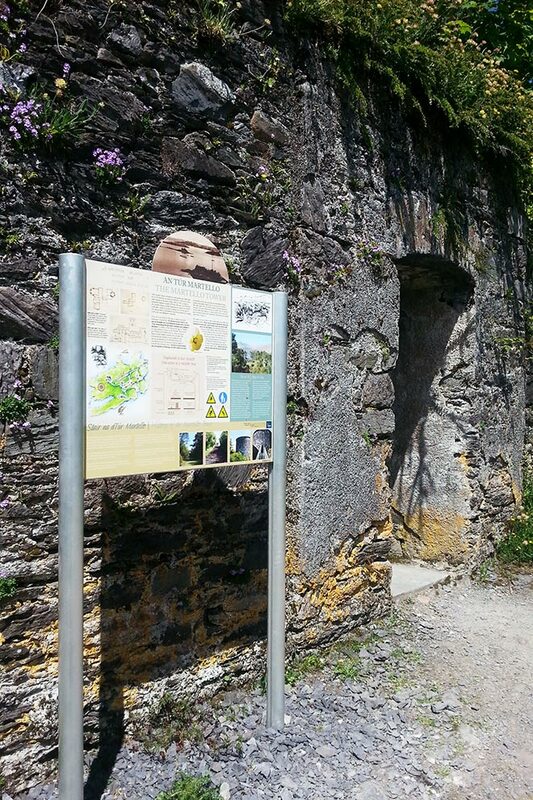 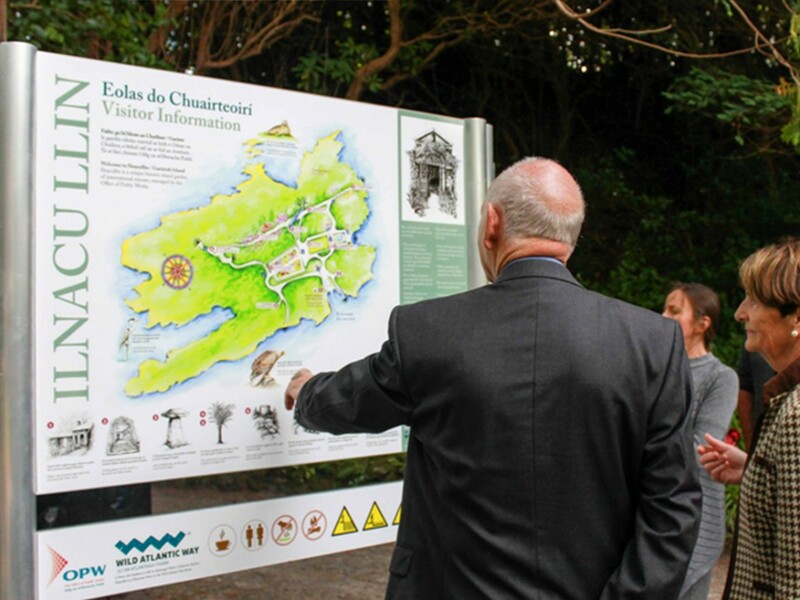 As a popular tourist destination they wanted to provide visitors with information boards that reflected the history and heritage of the island – to include map of the island, archive and modern photographs, illustrations, plants and points of interest. 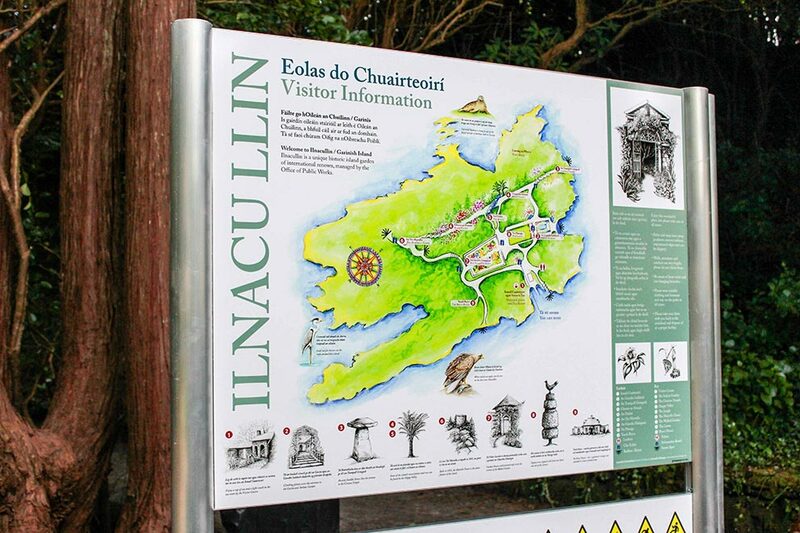 We worked closely with a number of trusted suppliers to produce the final signs including a local illustrator who created maps and detailed graphics of points of interest, an Irish translator for the text and signage makers to manufacture the boards and posts. 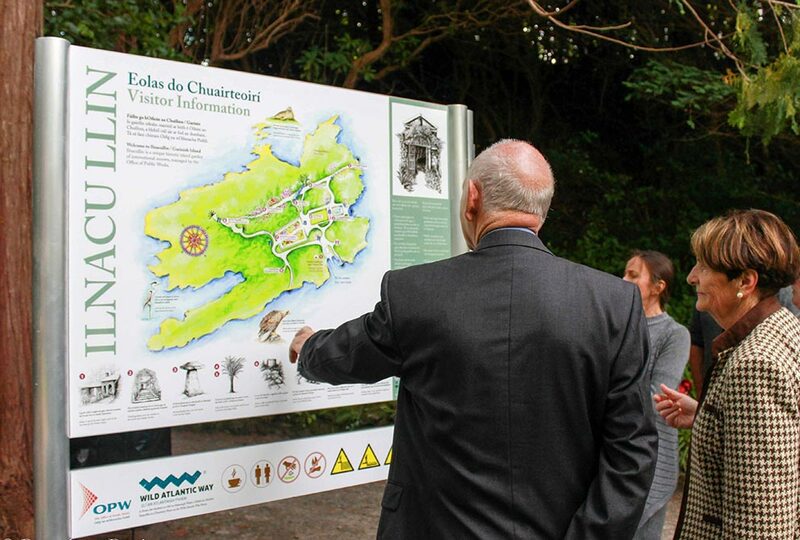 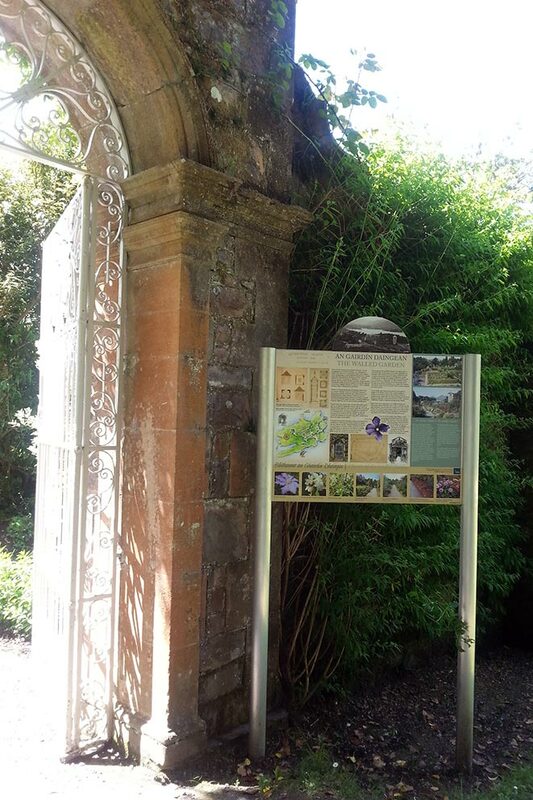 The information boards were made and installed for the official opening of the newly restored Bryce House. 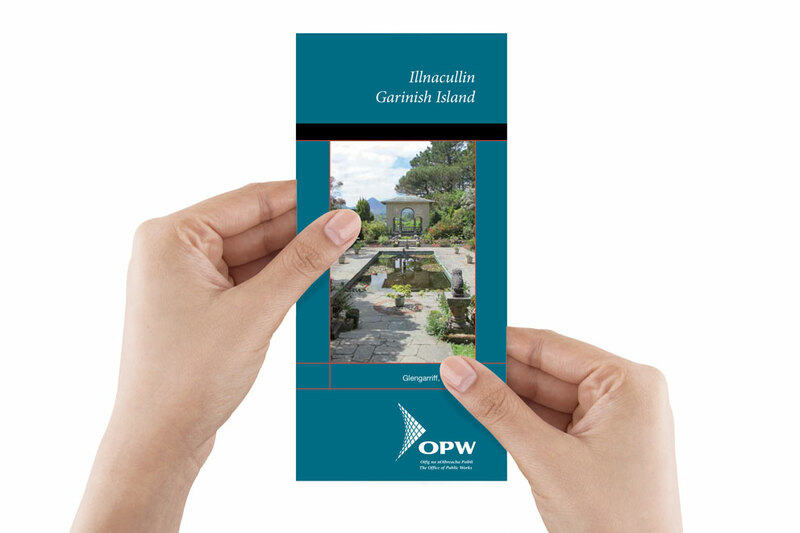 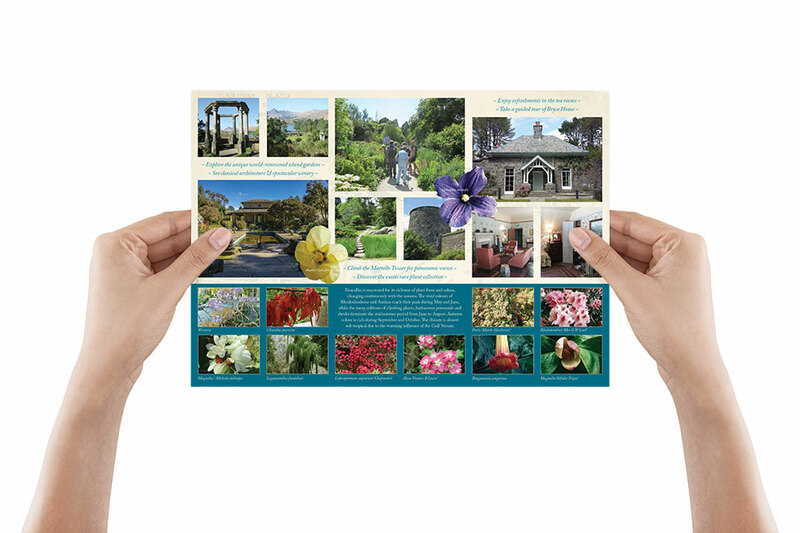 The artworks were also used by us in the design of a new A4 brochure for Garinish Island.